What impression does the mention of the name ‘Movado’ create in your mind? While it excites the music in the lovers of Singer Movado, the accessory lovers know that Movado is the brand of watches to admire! Perhaps, you have a brief overview of what the Movado brand of watches is all about. Get acquainted with information concerning this special brand, before getting one at a friendly price from Midtown Watch. Read through this piece to know its emergence and why pre owned Movado watches remain unique when placed at par with many other brands. The Movado brand of watches emerged in 1947, following the active designs of an American, Nathan George Horwitt. The first Movado watch was manufactured by Vacheron & Constantin-Le Coultre Watches, Inc., Switzerland. The Movado watches have batteries which are easy to replace. The batteries are easily accessible. The initial series of watches were fabricated and manufactured by hand. The watches would later be recognized for their design and appearance. The brand name Movado means ‘always in motion.’ Today, this brand of watch is going back to the impressive past following the introduction of the King Matic Series. The series of watches were firstly launched in the 50s. However, the modern Kingmatic Watch comprises of a stainless steel and waterproof material. It is also made of sapphire crystals. Movado Watches have remained iconic over the decades despite the existence of many museum collections. It shows a recurrent exposure and this has earned the brand reputation among watch lovers. The brand features both quartz and mechanical watch movements. Over time, the Movado Watches have earned over 100 patents and more than 200 global awards for their designs and technology. 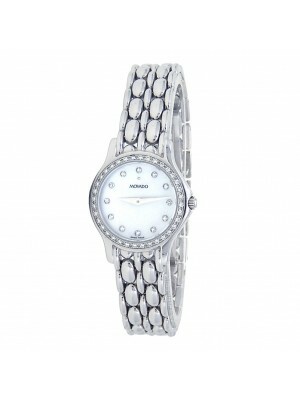 Consequently, this brand of watches has made itself a big name not only in Europe, but also in the entire world. It has a glittering look with a black face. The face has no numerals, though there is a white dot which marks the 12 o’clock position, a symbol of the sun at noon. It is a representation of simplicity in design, and has remained unrivalled in the history of watch manufacturing. 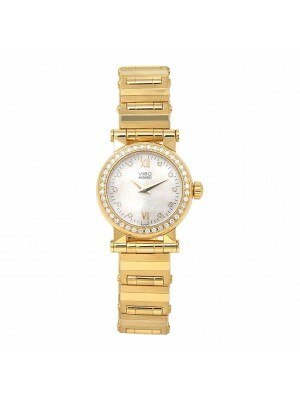 The Movado Watches are ideal for both men and women. In spite of this, it is more likely that you will find more men wearing the luxurious Movado watches in comparison to their female counterparts. This is the brand for a classy, official and professional individual, and perhaps you cannot afford to be left out. It is designed in a way that it fits in any size of the arm, and you can match it with different designer clothes. If you are the type of people who love elegance and sharp looks, then you have the right watch- the Movado brand. Are you planning to buy Movado used watches? At Midtown Watch, you will get the chance to choose through a variety of Movado models.